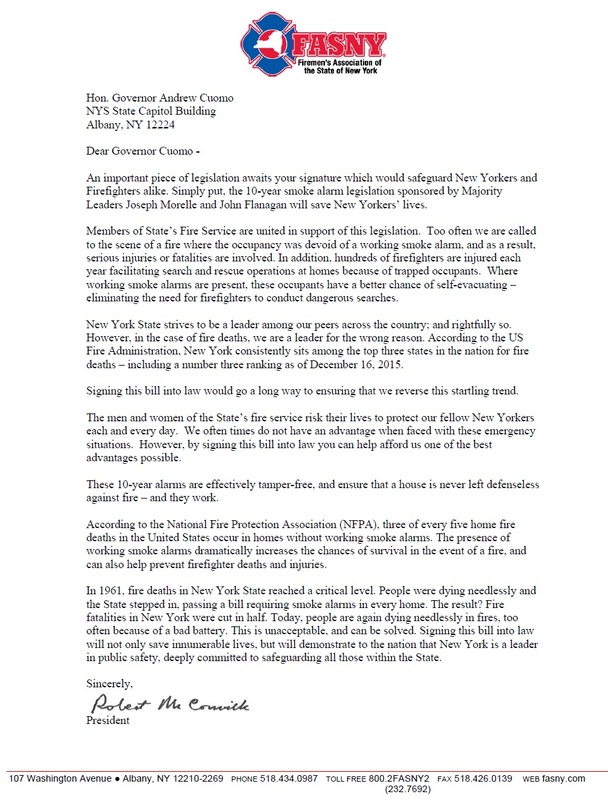 The Firemen’s Association of the State of New York (FASNY), representing more than 90,000 volunteer firefighters across the State, today called on Governor Cuomo to sign the 10-year smoke alarm bill into law. The law would increase safety for New Yorkers and firefighters alike. Photo by: Kidde Fire Safety, via Facebook. Albany, NY - December 18, 2015 - The Firemen’s Association of the State of New York (FASNY), representing more than 90,000 volunteer firefighters across the State, today called on Governor Cuomo to sign the 10-year smoke alarm bill into law. 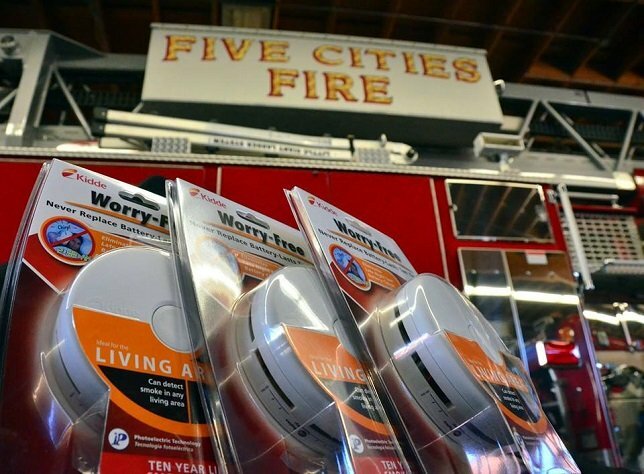 The bill, which requires all smoke alarms sold in New York State to have sealed, tamper proof, ten year batteries, now sits on his desk after passing both houses of the legislature. "Too often we are called to the scene of a fire where the occupancy was devoid of a working smoke alarm, and as a result, serious injuries or fatalities are involved. In addition, hundreds of firefighters are injured each year facilitating search and rescue operations at homes because of trapped occupants. Where working smoke alarms are present, these occupants have a better chance of self-evacuating – eliminating the need for firefighters to conduct dangerous searches." The letter also contends that by signing this bill Governor Cuomo can help reverse a troubling statistic regarding New York fire deaths. "New York State strives to be a leader among our peers across the country; and rightfully so. However, in the case of fire deaths, we are a leader for the wrong reason. According to the US Fire Administration, New York consistently sits among the top three states in the nation for fire deaths – including a number three ranking as of December 16, 2015." "Signing this bill into law will not only save innumerable lives, but will demonstrate to the nation that New York is a leader in public safety and committed to safeguarding all those within the State," McConville said. Subject: LongIsland.com - Your Name sent you Article details of "FASNY Calls on Governor Cuomo to Put Safety First and Sign Smoke Alarm Bill into Law"